Who knew when the first "Diary of a Wimpy Kid" book by Jeff Kinney was published in 2007 that by spring 2014 there would be more than 120 million Wimpy Kid books in print worldwide? What is it that has made the "Diary of a Wimpy Kid" and related books so popular? In part, it's the format of the books. The design appeals to young readers, from upper elementary to middle school age, even reluctant readers. "Diary of a Wimpy Kid" appears to be the handwritten diary, on lined paper with spot cartoon illustrations on every page, of Greg Haffley, who's in middle school. What makes it work is how true to life and humorous (and wacky) Greg's thought process and actions are. If your kids love the "Diary of a Wimpy Kid" series, they may also enjoy "The Origami Yoda" series by Tom Angleberger, beginning with "The Strange Case of Origami Yoda" by Stephan Pastis, and the "Star Wars: Jedi Academy" series. "Diary of a Wimpy Kid" takes a humorous look at school and family life as told in the form of an illustrated journal by the main character, Greg Heffley (the Wimpy Kid) who has just started middle school. The humorous saga of middle school student Greg Heffley's life continues as he deals with summer activities and the fact that his older brother Rodrick “rules” because he knows something embarrassing about Greg that Greg wants him to keep quiet about. This is book two in the "Diary of a Wimpy Kid" series. 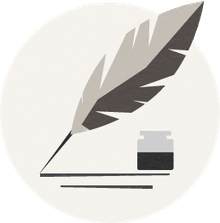 In Jeff Kinney's third book, the focus is less on Greg's skirmishes with his older brother, Rodrick, and much more on his skirmishes with his father and his growing interest in girls. In Jeff Kinney's fourth novel, middle school student Greg Haffley continues the hilarious saga of his life as he lives through the "dog days" of summer. As far as Greg is concerned, too many things in his life are changing. He's on the outs with his best friend, his mother is going back to school, he's supposed to take on more responsibility at home and his father isn't anywhere nearly as good as his mother in providing homework help. The boy-girl event at school is a big disappointment and health class proves challenging. This story is less tied to middle school antics and is more of a group of loosely related vignettes than a cohesive story. Much of the book centers on the effects of a blizzard on Greg and his family. It's January and middle schooler Greg Haffley has decided that it's a shame he didn't start writing about himself earlier because whoever writes his biography will need to know about his early life. To rectify that, Greg starts his diary with a 20-page description of his early life, beginning when he was in utero, with a lot of funny spot cartoon illustrations. However, the bulk of the book is about Greg's efforts to get a date for the school dance and all of the things that go wrong both before and during the dance. Middle school is not much fun since Greg has been dumped by his best friend, Rowley. What's worse is that Greg's been dumped because Rowley has a girlfriend. Now Greg has to cope with bullies on his own during the walk to and from school. He's also having trouble making new friends. Things aren't better at home. Greg's not happy about Easter at Gramma's because of past experiences. However, Greg finds something he thinks will improve his life. Since Greg hasn't had any luck in making decisions that make his life better, he's delighted to find a Magic 8 ball and decides to let it make decisions for him. That works out so badly that Greg may have to go to summer school. Fortunately, Greg rallies with some good decisions and hard work. Best of all, Rowley's girlfriend breaks up with him and by the end of the school year, Greg and Rowley are friends again. The Heffley family is off on a road trip and Greg is almost immediately less than thrilled. The trip, which Greg's mother insists will be wonderful, does not go well. His father says he had too much work to go, but according to Greg, "Mom said there's nothing more important than spending time with your family." After myriad problems, the family sets off on their road trip. With the entire family and too much luggage filling the family van (even with the overflow packed in his dad's damaged boat that they're towing), Greg ends up jammed in the back of the van in a very uncomfortable position. Things go from bad to worse. Staying at a horrible motel, mistaking his older brother's smelly sock for a washcloth, having a run-in with some other kids and making their father mad, dealing with a seagull infestation in the van, and getting bitten by a pig are only a few of the things that go wrong. "Diary of a Wimpy Kid: Old School" is very enjoyable recreational reading that younger kids will particularly like. Wimpy Kid Greg Heffley has a lot to complain about. This might be annoying, except for the fact that the things that bother him are so amusingly presented in both Greg's words and pictures. Greg's sick of grown-ups talking about the "good old days," his mother is embarrassing him by collecting signatures on a petition to get the city to "unplug" for a weekend, the family has a pet pig that his mom has taught to do tricks and that's allowed to eat at the dinner table, and his grandfather has moved in, which is having a bad effect on his father's mood. According to Greg, "You can tell he doesn't really approve of the way Mom and Dad are raising us kids, even though he never actually comes out and SAYS it." Problems escalate to the point that Greg agrees to go on a week-long class field trip to Hard Scrabble Farms to avoid a confrontation with his father. Things are straightened out in a surprising and funny way when his dad becomes a mid-trip replacement field trip chaperone. "Diary of a Wimpy Kid: Old School," Book 10 of the series, is a quick and fun read, and Greg's shenanigans will delight younger readers. The "Diary of a Wimpy Kid: Do-It-Yourself Book" was such a success that Jeff Kinney created another DIY book for kids who want to do their own writing and comic sketches. What's the difference between the two books? While "The Wimpy Kid Do-It-Yourself Book" is being promoted as a revised and expanded version of the first journal, there is a lot that is different, starting with the cover and title. "About the Author." Wimpy Kid, Inc., 2019. Kinney, Jeff. 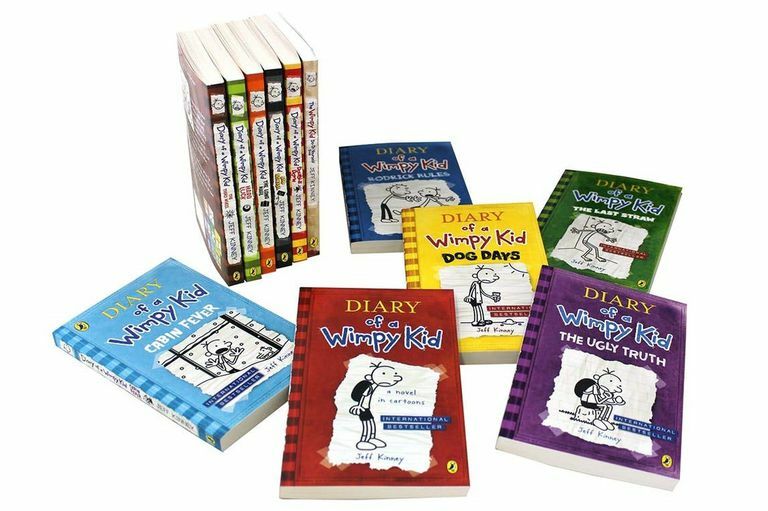 "Diary of a Wimpy Kid 12 Books Complete Collection Set." Paperback, Puffin, 2018.